The Retiro Park in Madrid appears in the XVIIth century as a second residence for king Philippe the IVth. Gardens were in fact an element linked to a large built complex, showing a complex relationship between buildings and green, as so often in these urban recreation scenes, and of the progressive occupatio of the land initially free in the city. 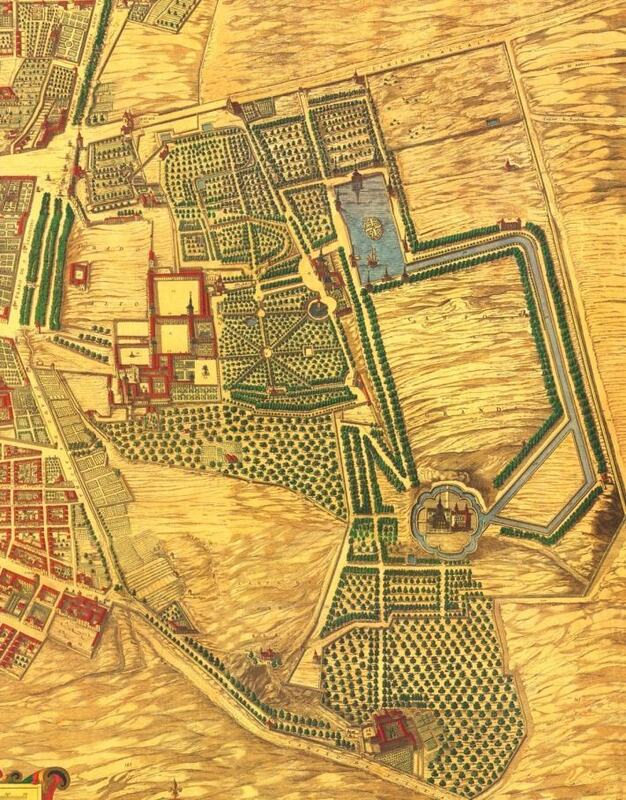 Texeira’s 1656 map shows a Paseo del Prado (left) still largely flanked by orchards and a palace which is indiferent to its urban position. The current pond is already there, as well as a network of channels for the royal games. Trees extend to the current Paseo de Reina Cristina. Current Alcala/O’Donell streets and Avenida Menéndez Pelayo respond to the eastern and northern limits. 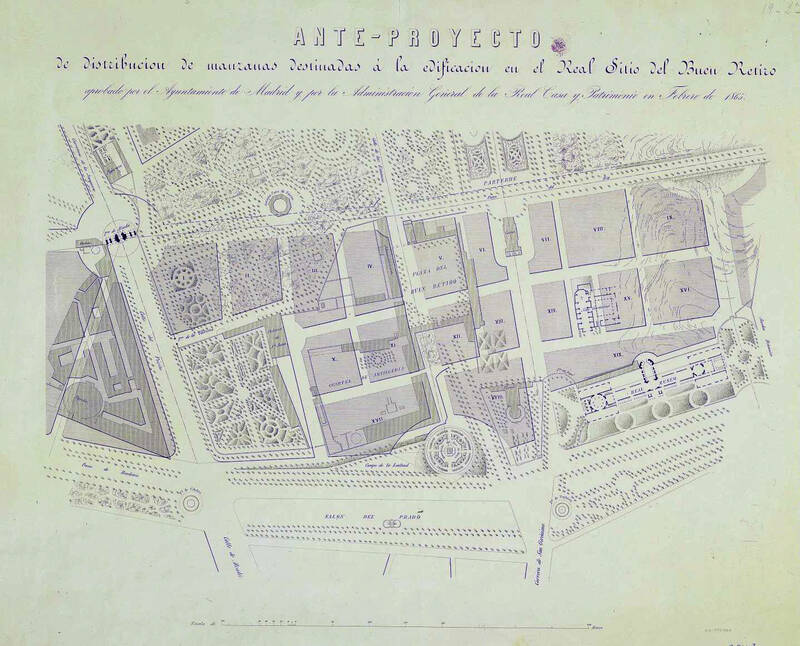 The following image (a litography by J.Donnon) shows the sketch for the blocks layout to be built in the Buen Retiro site, aproved by the Madrid Municipality and the Royal House in february 1865. The Buen Retiro Palace dissapeared during the Napoleonic wars, but some traces subsist, including Paseo del Prado. The project was modified, as some other traces where maintained (the current Army Museum) and the current Palacio de Telecomunicaciones (the new City Hall) occupies what was intended to remain green. 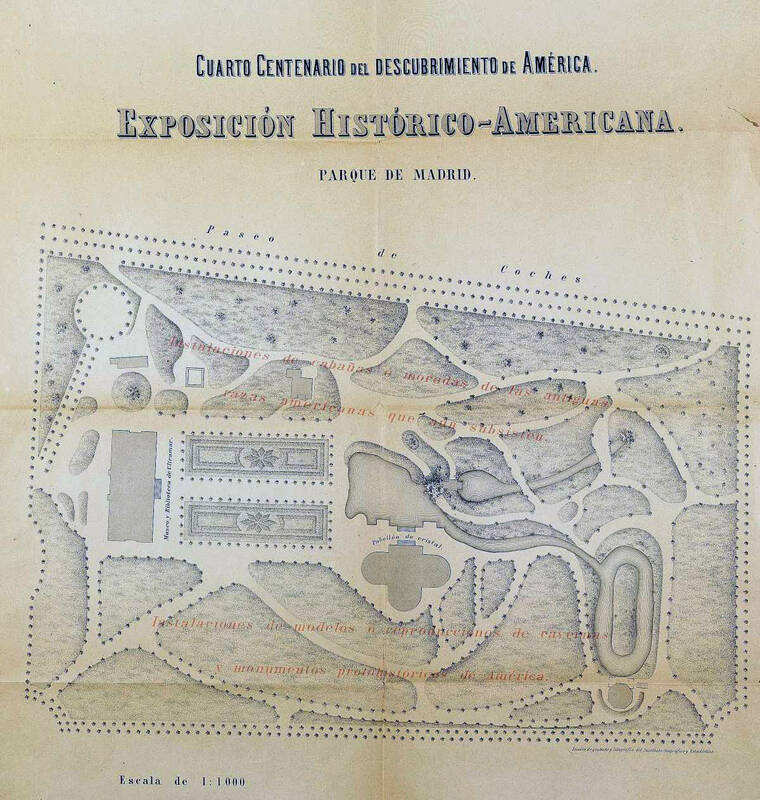 The following image shows the Historical American Exhibition of the fourth centenial (1892), occupying the area of the current Palacio de Velazquez and Palacio de Cristal, with a layout still existing. 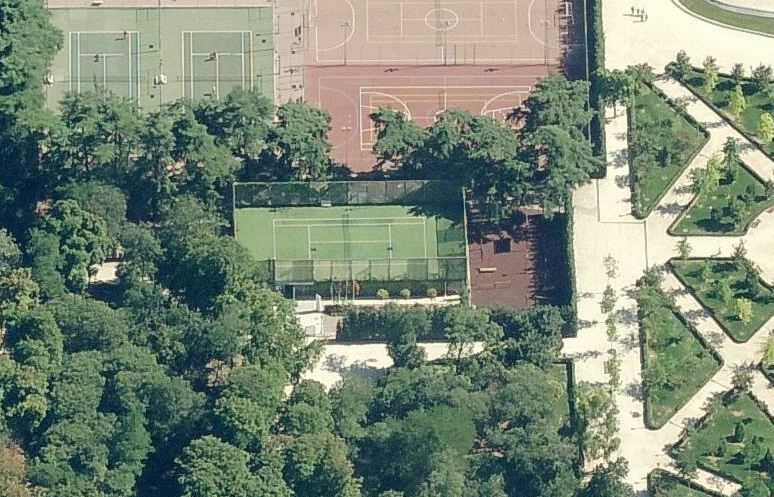 Despite the size of the buildings, their location in a lower ground and the growth of trees has allowed an integration that has become the historical memory. 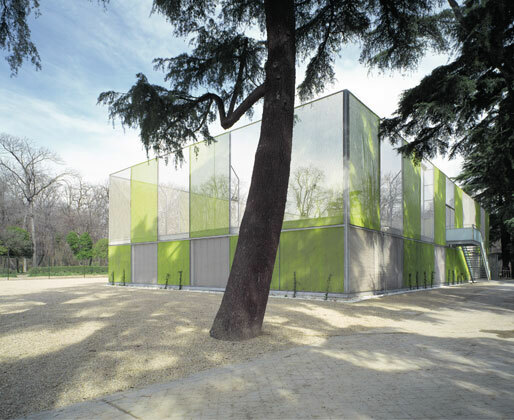 The Gym Pavillion by Abalos y Herreros (2003) in the western part of the park is a fine contemporary adition that responds to its setting. Most of the uses are underground, but well lit and ventilated, and the upper volume is in fact transparent, diminishing its pressence.